Ava is a Finnish TV channel from Finland's largest commercial broadcaster MTV3 that airs women-oriented programmes. Originally launched in 2008 as a pay channel, it has developed into a free national channel. Recently, it launched a new look, developed in-house at MTV3 by art director Virpi Kunttu. Viewer participation is an important part of the new look. Pictures and comments can be sent to Ava's website and are then incorporated into the on-screen graphics. There are also logo contests held that allow viewers to send in their own designs to replace the channel logo for a week. The official logo has been turned into a sketchy doodle. Other parts of the on-screen graphics are beige and minimalist. RTL5 and RTL8 are two TV channels from the Netherlands' largest commercial broadcaster, RTL Nederland. On Monday, August 27, they both launched new looks for the autumn season. The group also owns RTL4 and RTL7, and since 2005 they have all used logos created from the same template. RTL7 diverted from this standard when it introduced a new logo in 2010, and this rebrand means all four channels have unique logo designs once again. To create distinctive identities, RTL hired two different agencies. RTL5 was remade by Grump who turned the number five into a "character" that gets incorporated into programmes. The female-leaning RTL8 was rebranded by Terra Lemon, and the channel's managing director describes the new look as "robust, modern, dynamic and fresh". George Washington University is a private university in Washington, D.C., founded in 1821 and bearing the name of the first American president since 1904. This weekend, on August 26, it revealed a new visual identity. The primary version of the new logo is a stacked sans serif wordmark in the university's colors. It can be used with a digital portrait of Washington, created by John McGlasson, the university's assistant director of visual design, based on a famous sculpture of the president by Jean-Antoine Houdon. GW hired FutureBrand to oversee the identity design, while 160over90 designed new communication materials. The previous logo was troublesome in a digital environment, and was also applied inconsistently. This exercise is aimed at uniting and tightening the university's visual identity. Last year, the Australian gas and electricity company TRUEnergy acquired state-owned EnergyAustralia's retail business, including its name. As a result, the remaining electricity grid operations were renamed Ausgrid. Recently, TRUEnergy announced that it would adopt the EnergyAustralia name and unveiled a new corporate identity. The new symbol is a glowing E, that should perhaps remind us of a compact flourescent. 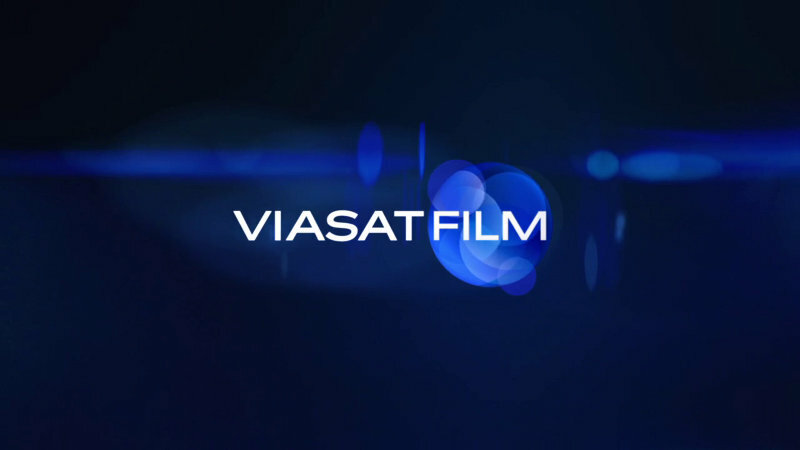 Last spring, the Nordic pay TV platform Viasat rebranded its premium movie channels, giving up the 22 year old TV1000 name for "Viasat Film". The British broadcast design agency Devilfish were hired to handle all parts of the visual identity, from logos to on-screen graphics, with help from the production company Foreign Office. The thread running through the entire package is cinematic light. 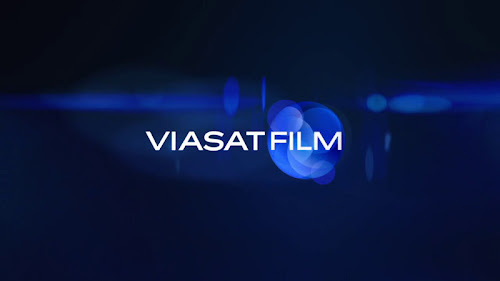 The six thematic channels use light inspired by their respective genre, slow motion police lights for Viasat Film Action, smoky search lights for Viasat Film Classic, bright sunlight for Viasat Film Family, glittery water for Viasat Film Nordic and drapes for Viasat Film Drama. Devilfish and Foreign Office also created six idents, that they describe as "mini-scenes in cinematic style, each with just a whiff of a story pulling you inside". Love Radio is a Russian radio network available around Russia, broadcasting a mix of Soft AC and hit music. Recently, it unveiled an updated logo ahead of a large advertising campaign. The new logo was reportedly developed in house. Löfbergs Lila is a Swedish family-owned coffee maker. Founded in 1906, it is today one of the larger coffee brands in the Swedish market. The name means "Löfberg's Purple" and is derived from its purple packaging. Recently, the company announced that it would drop "Lila" from its name and introduce an updated corporate identity. Although no longer part of the name, the (literally) trademarked purple colour will still be featured prominently on the packaging. The logo has been redesigned with grotesque letters that look substantially different from the previous logo. Someone also felt that the logo needed to include a coffee bean in the letter Ö. Over the last few months there has been plenty of talk in tech media about the changing corporate identity system within Microsoft, built around the new "Metro" design language. (Although Microsoft has apparently decided not to call it that anymore, rumour says there was a trademark dispute.) After the unveiling of new icons for Windows, Office and Xbox, there has been buzz about a change for the primary brand as well. That was finally confirmed today, August 23, when Microsoft introduced its new corporate logo to the world. As expected, the new logo uses a typeface from the Segoe family for the wordmark. It now also includes a symbol, a grid with four squares that reminds us of Windows logos of yore. While the have all gone single color, the corporate iteration holds on to a four color symbol. A video used to introduce to logo suggests blue is for Windows, orange is for Office and green in for Xbox, although that may well not be official. Dajto is a new TV channel from the Slovak commercial broadcaster Markíza that targets male viewers with action, adrenaline, humour, suspense, sports and entertainment (and plenty of scantily clad women, if the website is to be believed). Launched on August 20, it complements Markíza's female-targeting channel Doma, and is a Slovak version of Czech channel Fanda, launched by Markíza's parent company in July. As I've understood it, the name means "give it". The sharp-edged logo is black, red and yellow. The triangular theme and the colour scheme runs through most of the on-air applications as well. Rĳksmuseum is a national art museum in Amsterdam and the second most visited art musuem in the Netherlands, with large collection that includes many important works from the 17th century. Yesterday, August 22, a new logo was unveiled at the museum. The new identity is being created by Dutch graphic designer Irma Boom. It also includes a colour palette and a custom typeface family with no less than nine typefaces created by Paul van der Laan from the type foundry Bold Monday. The logo has a prominent Ĳ ligature which makes it typically Dutch, but the clean and contemporary design is also made to work internationally. The previous identity was in use for about three decades and was created by Gert Dumbar's Studio Dumbar, who had previously designed posters for the museum and would later create new signage in the 80s. The new identity will be implemented in full when the museum reopens in April 2013. TV One is a cable network for and about African Americans. It has a somewhat older and more mature audience than the largest black cable channel, BET. A few days ago, it launched a new look with a new logo, the first one to significantly depart from the network's launch logo. It now includes a subtle '1' numeral in the word 'one'. On screen graphics seem mostly orange with a tapestry of positive words in the background. Lifetime Real Women is a spinoff from the American women's cable network Lifetime, originally launched in 2001 with a focus on reality shows and programs about real women. Recently, probably this summer, it launched a new logo. Until then, it had used a logo based on Lifetime's 2008 logo. As the main network introduced a new logo last spring, Lifetime Real Women also had to get a new logo. The logo now features the channel's abbreviation, LRW. Although it may remind one a little bit of the also recently redesigned Lifetime Movie Network logo, the letterforms are completely different. Yarmolprod is a Russian dairy company, located in Yaroslavl close to the Moscow region. Recently, it unveiled a new mid-range milk brand called Oberezhe (Обережье), designed by Moscow agency Wellhead Branding & Consulting. The visual identity uses traditionality design cues, with a logo insired by old Slavic lettering, an О carved out of wood and table cloths with traditional embroidery. Cohen Media Group is a growing producer and distributor of independent film, formed in 2008 by real estate magnate and movie lover Charles S. Cohen. Earlier this year, it got a new corporate identity, created by Paula Scher at Pentagram. At the center is a bold and angular C. The C can also be used in large form as a frame device. A custom typeface is used for the logo-type. Air Pacific, the national airline of Fiji, announced a few months ago that it would change its name to Fiji Airways, reinstating the name it had used until the early 1970s. Last week, on August 17, a new visual identity was unveiled that is scheduled to launch in early 2013. The new logo contains a symbol, called the "teteva", created by a local artist named Makereta Matemosi in traditional indingenous Masi style. Together with the dark brown colour, the new identity is much more rooted in the Fiji islands and its culture. It stands in stark contrast with the previous identity and its 1970s stripes in yellow, orange, red and blue. The logo was last changed in 1999. 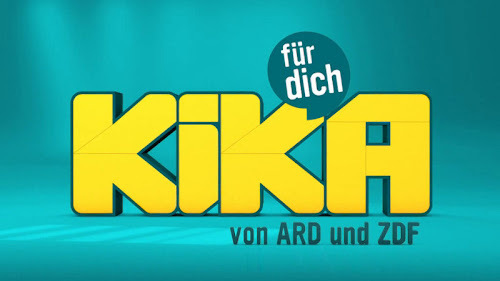 KIKA is the children's channel from Germany's public broadcasters, the second most watched children's channel in Germany. Back in February this year, it launched a completely new look, created by broadcast design agency DMC Group in Münich. The on-screen look is built around "the fusion of a real world with an exceptional, playful, surreal, fantastic world". The idents feature children in an active environment where the KIKA logo suddenly appears. They all conclude in a simple "audio logo". 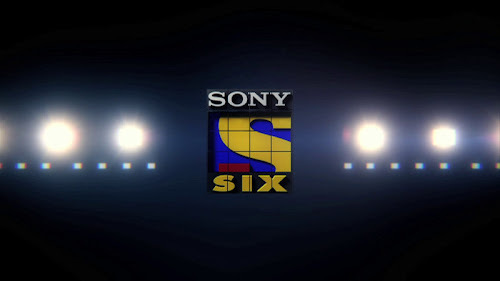 Sony Six is a new sports channel launched on April 7 this year by Sony's Indian TV network arm. The on-air graphics were created by Australian motion studio Ink Project, who unveiled their work last month. The brand brief was to challenge the existing Indian sports channels and be more youthful and unconventional. The logo is yet another iteration of the Sony Entertainment Television logo, originally designed by Chermayeff & Geismar. Ink Project turned this logo into a sporty cube, a versatile device that can be seen in all on-air applications. Matrix Service Company is an American company, headquartered in Tulsa, OK, that "provides engineering, fabrication, construction and maintenance services to Electrical Infrastructure, Oil Gas & Chemical, Storage Solutions and Industrial markets". Last Thursday, August 9, i launched a new corporate identity with a new brand structure. "Matrix Service Company" will serve as the corporate name, while the three sudsidiaries have now include "Matrix" in their names. They all use a new M symbol, color-coded in green for the corporate level and blue, yellow and red for the subsidiaries. July is a hot summer month in much of the Northern hemisphere, yet there was a good crop of new logos launched around the world. Following Monday's post on Hungary's national broadcaster MTVA, we move on to its Lithuanian counterpart LRT, which also launched a new identity for the Olympics in late July. The rebrand reinforces LRT's corporate presence by renaming its services and abolishing the separate brands for radio and TV. The TV channels, previously called LTV, LTV 2 and LTV World, are now known as LRT Televizja, LRT Kultūra and LRT Lituanica, respectively. The new identity system is based a "dynamic cube" logo. 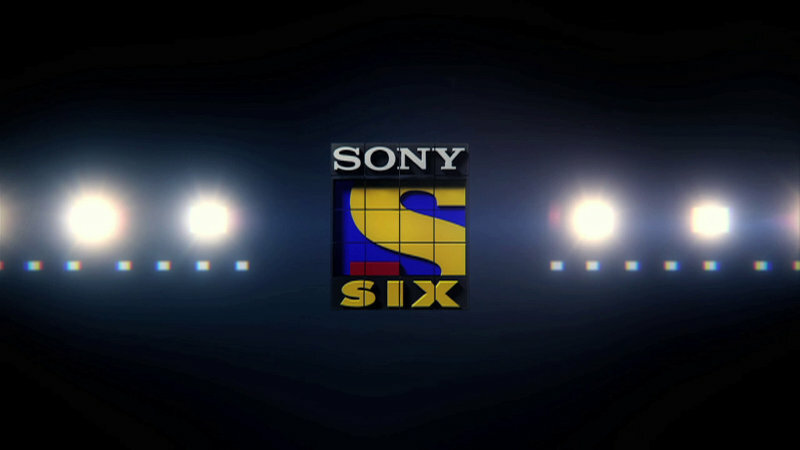 The TV and radio channels use derivations of this logo with different signature colours. Nord is the Nothernmost department in France, bordering Belgium. Recently, the general council of Nord started using a new logo, a simple gray block with the words "Nord - le département". The previous logo was an 'N' symbol that was used with various bright colours. Although the 'N' was distinctive, the typography used for the wordmark wasn't that great, the last 'l' in général was particularly atrocious. Senac (abbreviation Serviço Nacional de Aprendizagem Comercial) is a private Brazilian professional education institution, founded in 1946. On Sunday, August 5 it launched a new corporate identity. The Brazilian design agency Packaging Brands is credited for creating the new look. Senac says its old logo was created in 1969 and that it didn't fit its current position. Some regional districts had also started using independent logos, and this exercise unites the organisation under a common visual identity. The new logo is supposed to be a stylized paper airplane, created from triangles that form an arrow pointing towards the future. The Media Support and Asset Management Fund (known in Hungarian as Médiaszolgáltatás-támogató és Vagyonkezelő Alap, abbreviated MTVA) is Hungary's public media organisation, formed last year through the merger of the two television broadcasters MTV and Duna TV, the radio company Magyar Rádió and the news agency MTI. In an effort to bring the organisation together, a new corporate identity was launched on July 27 for the start of the Olympics. It includes new logos for seven radio networks and four TV channels. The new logo system really stands out among its peers for its minimalist simplicity. It relies on a circle as a unifying element with a few lines and circles to represent the different services. MTVA credits the new logos to an in-house team lead by a designer named Vida Zoltán, which took inspiration from the four classical elements. The logos have also been turned into large physical models that appear in idents filmed around the Hungarian countryside. These models also appear in promos for the broadcaster. The logos for the original TV broadcaster MTV use vertical lines, one red line for the primary channel (M1) and two green for the second channel (M2). The second TV broadcaster, Duna TV, named after the Danube, uses wavy blue lines. The radio networks use horizontal lines in different colours and probably some built in symbolism. The old logo featured a very literal tea pot, and the new one is obviously an abstraction of that object in a bright orange colour. The channel says it is designed to "charge the audience with energy and positive emotions". Leaf is a European confectionery company with activites in Scandinavia, Benelux and Italy. Its portfolio includes several classic local brand that it has gathered after decades of mergers and acquistions. 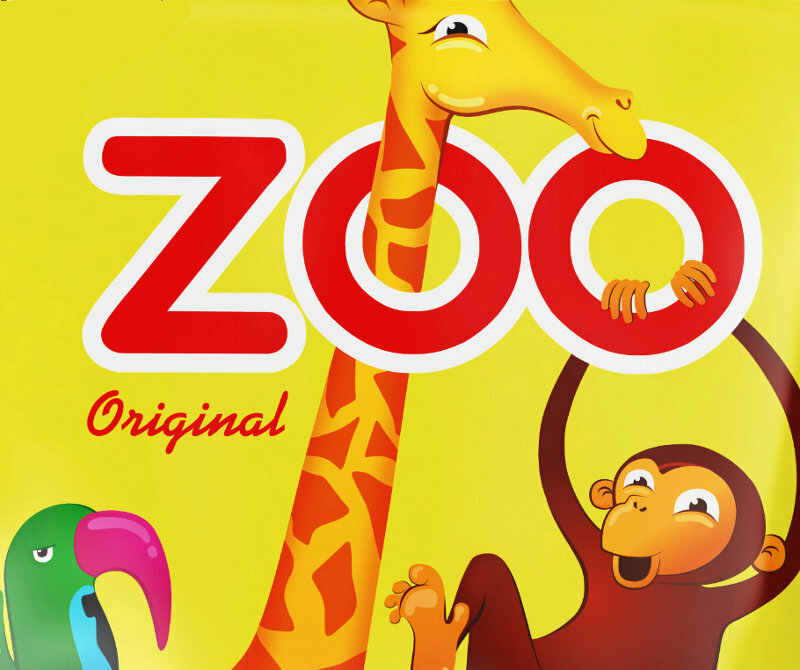 Recently, it has started introducing refreshed packaging for some of its classic Swedish candy brands, Zoo, Djungelvral, Fruxo, Gräddkola, Brio and PimPim, the oldest of which have existed for 80 years. Until some years ago, they had maintained classic vintage label designs with only minor updates. These labels have a cult following and have been turned into a range of kitschy home furnishing details. A redesign in the 00s introduced a common design template and adopted Malaco as an umbrella brand, but many elements from the classic designs remained. This more recent refresh is a more thorough redesign that gives up much of the old designs. It appears the company now wants to have a friendly mascot on the front of the package. Those brands that already had mascots have had them redesigned, and those that didn't have had new ones created. All are drawn in a similar cute style with wide-set cheeky eyes. The typeface used for the product name is Gothic 821 Condensed. Ain's Pharmaciez (アインファーマシーズ) is a Japanese company that operates wholesale distribution of pharmaceuticals and is involved in the operation of pharmacies. Yesterday, August 1, it launched a new symbol, an updated and more lively version of the bird it has used until now. Myz-TV (Муз ТВ in Russian) is a Russian music-based TV network available over the air around Russia. As a result of the diminishing interest in music channels, it was announced last week (on July 26) that Muz-TV would be replaced by a general youth entertainment network called Yu that takes over the series and reality shows currently seen on Muz-TV. The iconic brand will live on as a music-only cable channel. The new channel name, Yu, which is written in Cyrillic as a single letter, Ю. Its pronounciation its close to the English word "you", at least if pronounced with a Russian accent, and that is probably the origin of the name. Its tagline, "Eto ty", also happens to mean "It's you". The rectangular logo seems to be used both in a variety of colours and as a window. Air Malta, the national airline of Malta, unveiled a new corporate identity yesterday, July 31, at an event called "The Flying Pride of Malta". It comes with new livery and is part of a restructuring to turn the loss-making airline around. The colourful livery has the tailfin and the back of the fuselage painted red with different colours inserted. The front has the word "Malta" in large red letters. The rebrand work was carried out by Futurebrand in London who were hired earlier this year. Local media are reporting that they were paid €400,000. Air Malta's previous livery and corporate identity was introduced in late 1989. The planes will be repainted from November. IP Deutschland is the ad sales arm of the German media group RTL. Its names though originates from French sales agency called "Information et Publicité" that was founded in the 1920s. Yesterday, IP relaunched its website and introduced a new corporate identity with a refreshed logo. Cologne-based agency BplusD has developed the overhauled look. IP says the previous logo has remained unchanged since 1990. The Indian's head has been carefully overhauled and is now a bit slimmer, although it should still be recognisable to those who were familiar with the previous logo. The rebrand is part of strategy that goes under the name "Fourscreen", referring to the different screens advertisers can reach their audiences on through IP (TVs, computer, smartphones and tablets).